Leading Manufacturer of sandhyaflex compression seal expansion joint, 16mm dia anchoring rod strip seal expansion joint for bridge and strip seal expansion joint from Hyderabad. Sandhya Enterprises AN ISO 9001 2015 Certisfied Company,manufacturer and Strip Seal Expansion Joint. 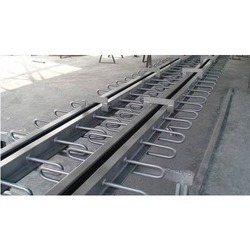 65mm and 65mm and 75mmx75mm Edges Beam, 16mm Dia Anchoring Rod, maintant Gap 40mm,HSN Code:40081190 Strip seal expansion joint catering to maximum horizontal movement upto 70 mm, complete as per approved drawings and standard specifications to be installed by the manufacturer/supplier or their authorised representative ensuring compliance to the manufacturer's instructions for installation all complete as per Technical specifications and as directed by the Engineer-in-charge. Sandhya Enterprises AN ISO 9001 2015 Certisfied Company,manufacturer and Strip Seal Expansion Joint. 65mm and 65mm and 75mmx75mm Edges Beam, 16mm Dia Echoring Rod, maintant Gap 40mm,HSN Code:40081190 Estrip seal expansion joint catering to maximum horizontal movement upto 70 mm, complete as per approved drawings and standard specifications to be installed by the manufacturer/supplier or their authorised representative ensuring compliance to the manufacturer's instructions for installation all complete as per Technical specifications and as directed by the Engineer-in-charge. 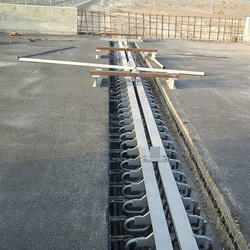 Looking for Compression Seal Expansion Joint for Briddge ?